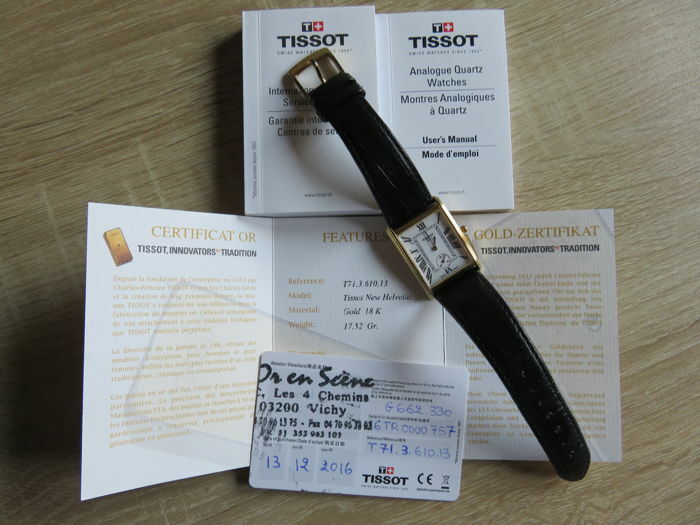 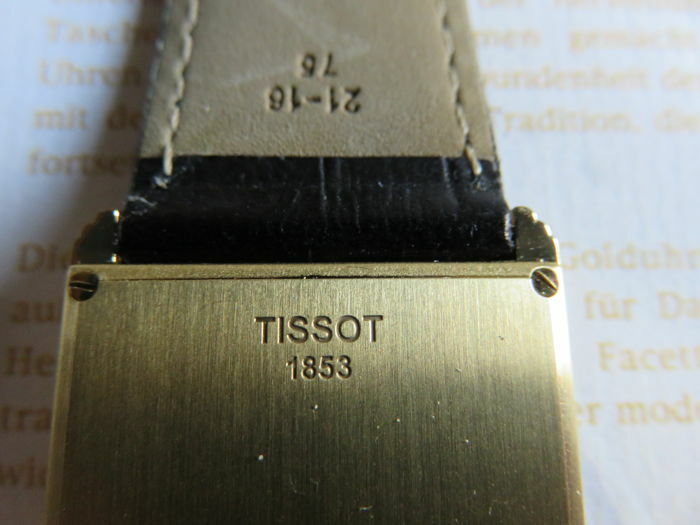 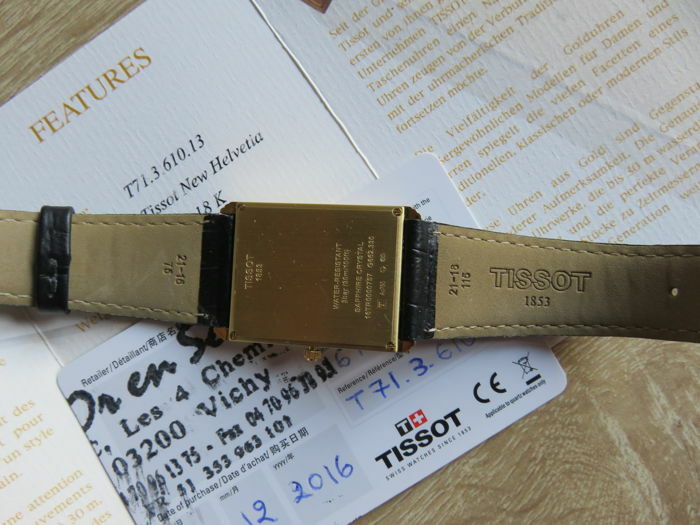 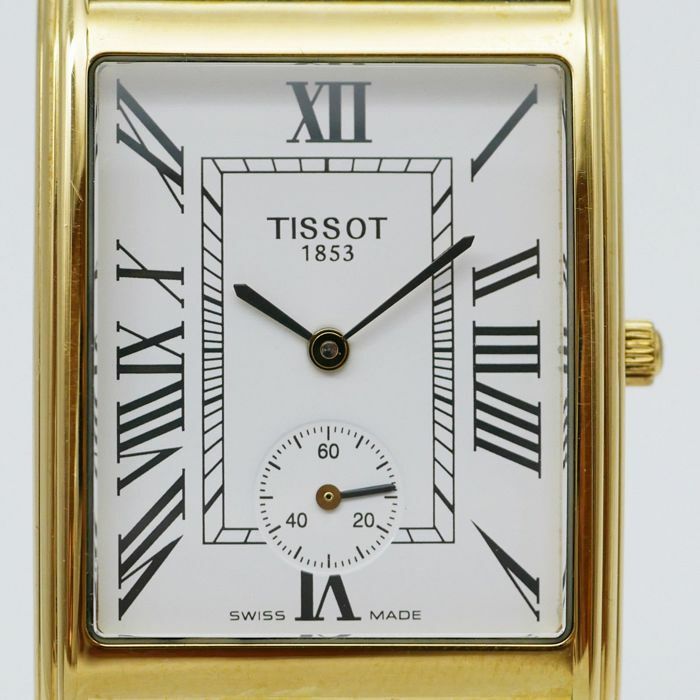 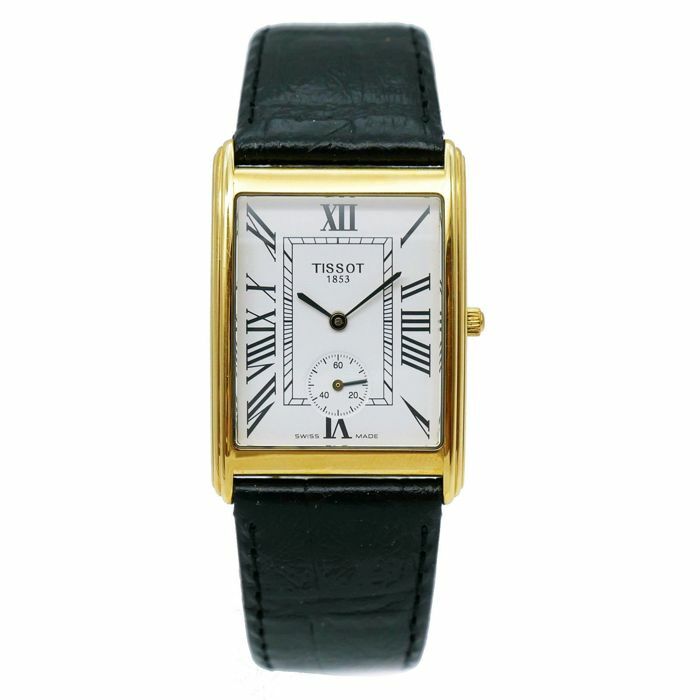 This T-Gold watch by Tissot with reference number T71361013 has a quartz movement that is set in an 18 kt gold case. 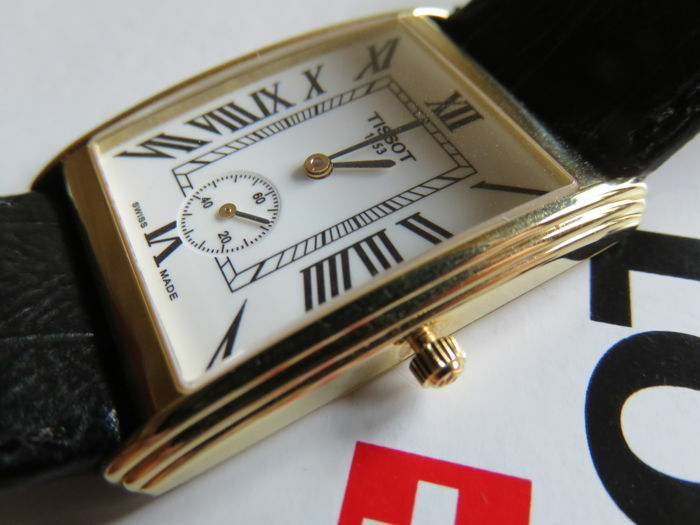 Analogue time display on a white dial. 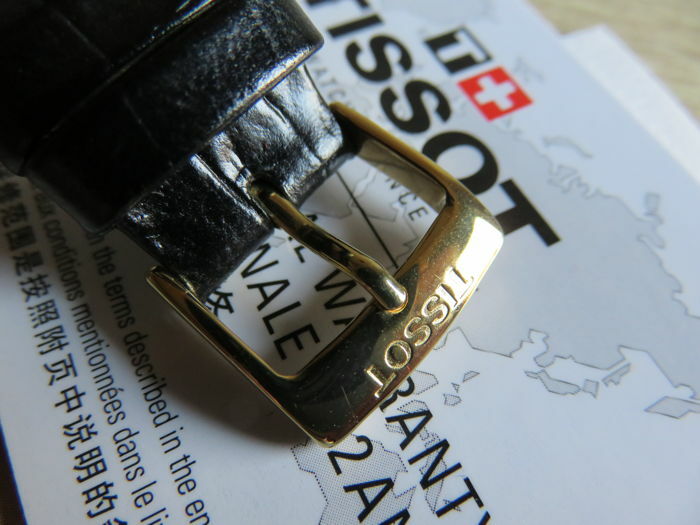 The case has a black leather strap attached to it. 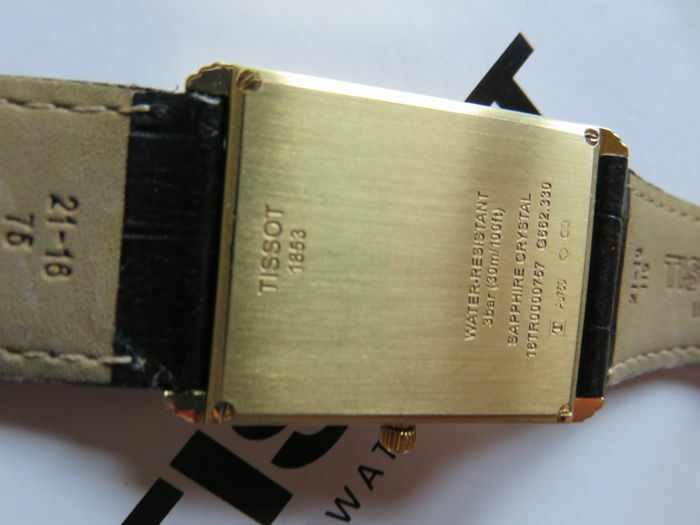 The quartz movement only offers a time function. 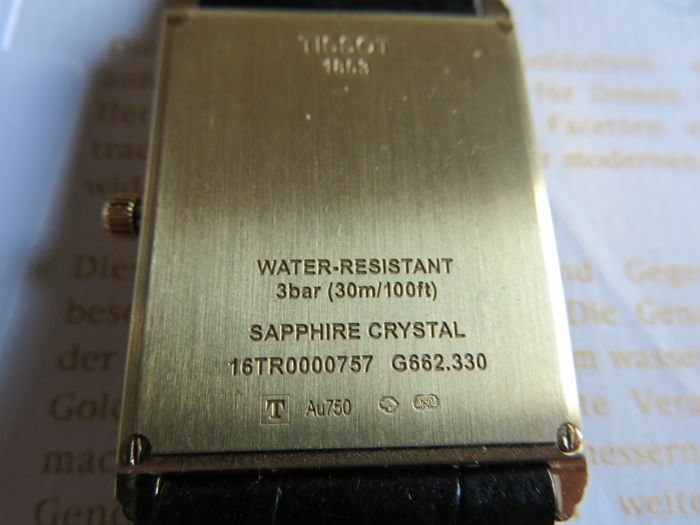 The rectangular watch case is 3 ATM (30 m) waterproof and features a sapphire crystal. 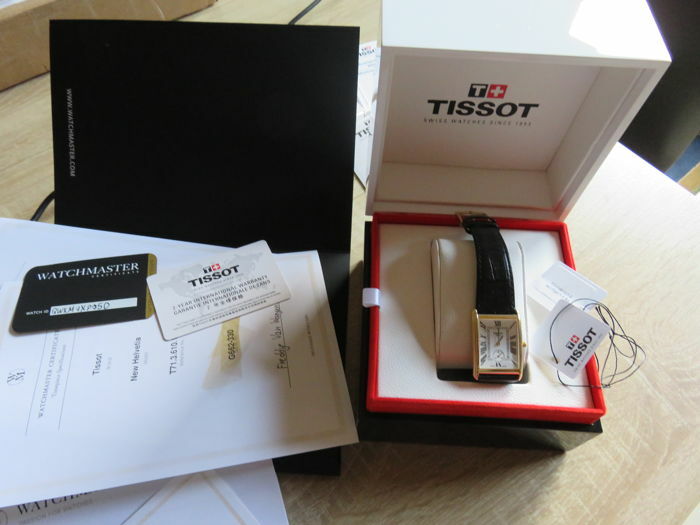 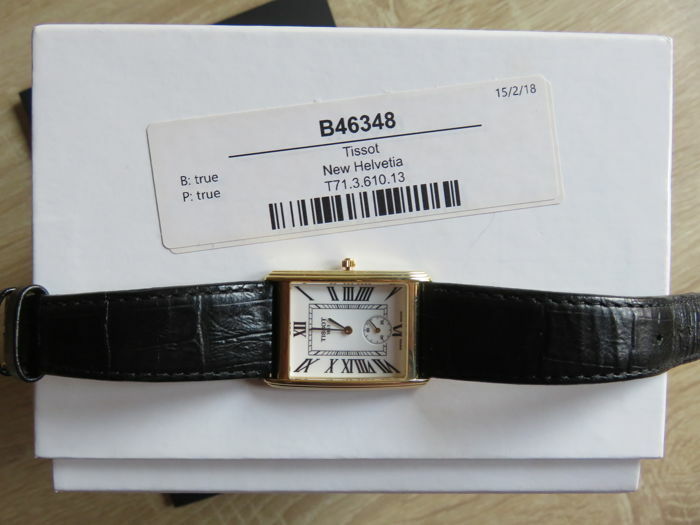 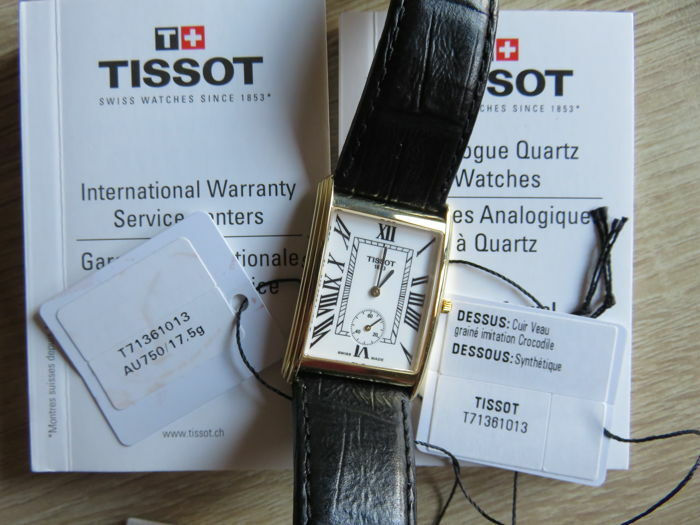 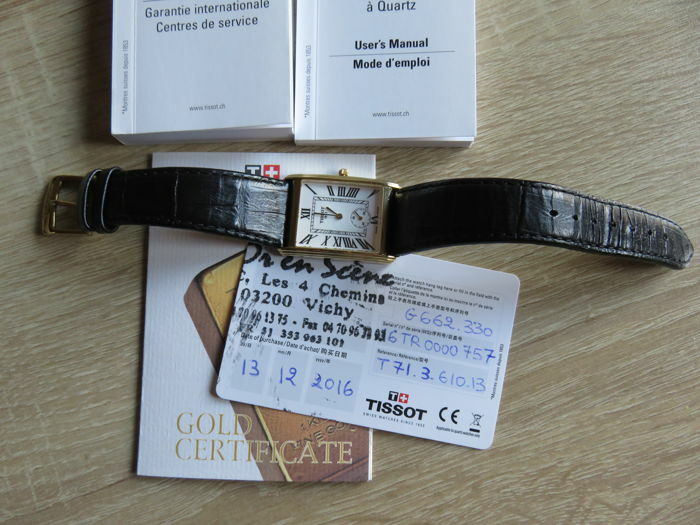 Comes with all original papers and original Tissot storage box. 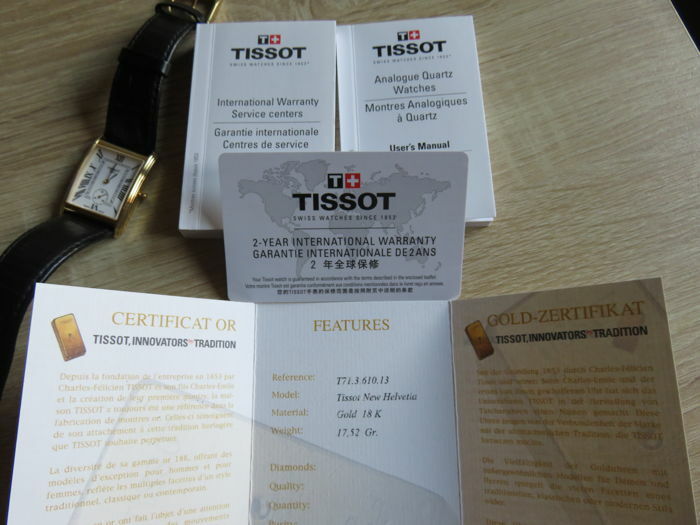 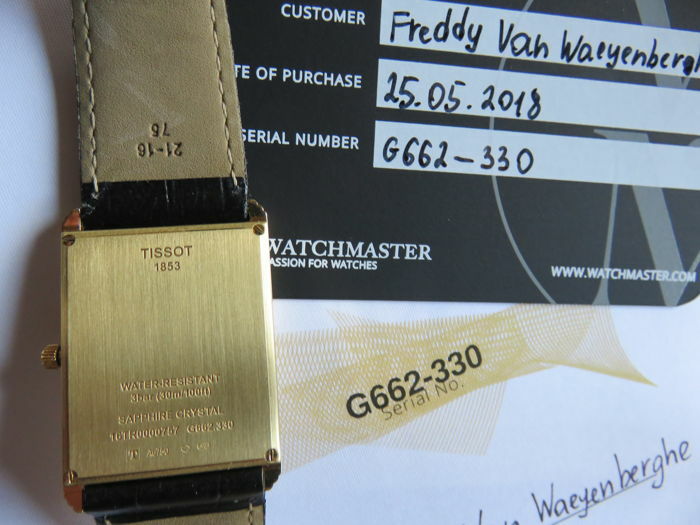 Extra: comes with the original Tissot warranty papers,, manuals and Tissot box, and with receipt of purchase with my name on it, if so desired. 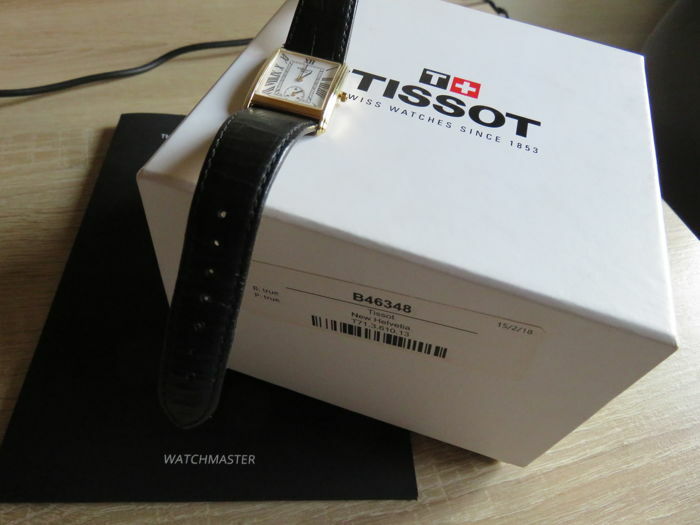 The customary shipping costs are at the expense of the buyer. 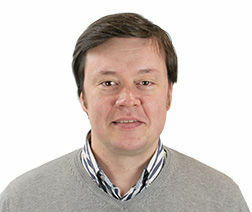 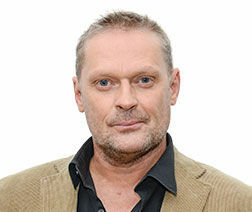 Możesz odebrać ten towar u sprzedawcy: Denderleeuw (), Belgia.